A friend who works at our local MCC Thrift shop gave me some flannel that was donated to the store. 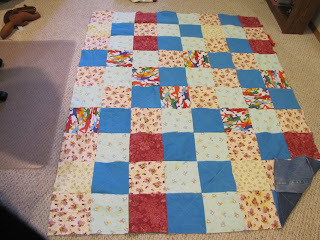 I made it into this quilt and it will either be sold at the store or sent overseas. I've got tubs and tubs of denim still to use up so I'll likely be able to make another rag quilt with the flannel I still have.